Granite & Marble are a natural stone and appear to be smooth and shiny but, both these substrates are porous. so, they can still get stained with day to day products. Popular in kitchens because it looks stunning, it does have frequent use so, can become dull or stained from spillages and scratched from the use of kitchen knives. Our Granite & Marble specialists will bring your natural stone back to its former glory using the correct processes to give your Granite & Marble longevity. Marble floors encounter high volumes of traffic, just any as any other floor does. So, over time, it will almost certainly take on fine scratches and lose its lustre. 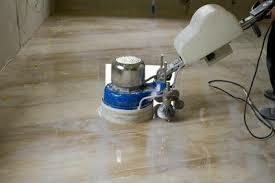 We can regularly maintain it so your marble floor will look its best every day. Commercial properties will benefit from our out of hours service too. All work takes place out of working hours, making the whole process safer and with minimum disruption. 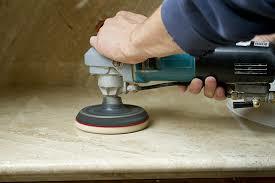 Now, you’ve had your granite & marble surfaces restored. So, you now need to keep them looking perfect. Book our staff to take care of any issues and to deep clean and add lustre to your walls, floors and counter tops. This is a maintenance package and is highly recommended. Whatever is needed to maintain your granite & marble surfaces, you can be assured that the latest, professional methods will be utilised.